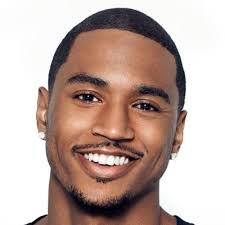 Tremaine Aldon Neverson (born November 28, 1984), better known as Trey Songz, is an American singer, songwriter, rapper, record producer and actor. His debut album, I Gotta Make It, was released in 2005 through Atlantic Records. His follow up album, Trey Day, spawned his first top 20 single, "Can't Help but Wait." Songz released his third album Ready in 2009 and a single from the album, "Say Aah," peaked at No. 9 on the Billboard Hot 100 making it Songz's first top 10 hit. Ready was nominated for Best Male R&B Vocal Performance at the 2008 Grammy Awards. The following year saw Songz's highest charting song to date, "Bottoms Up" featuring rapper Nicki Minaj from his fourth studio album, Passion, Pain & Pleasure. In 2012, Songz released his first number one album, Chapter V, which debuted atop the Billboard 200. The album's lead single titled "Heart Attack" was nominated for Best R&B Song at the 2013 Grammy Awards. Through the years of success, Trey Songz was mentally and musically inspired by An old friend Quan Anthony Hubbard who also played a big role in His distinct vocals and persona. Following that Songz released his sixth studio album, Trigga in 2014, promoted by the top 30 songs, "Na Na" and "Slow Motion."